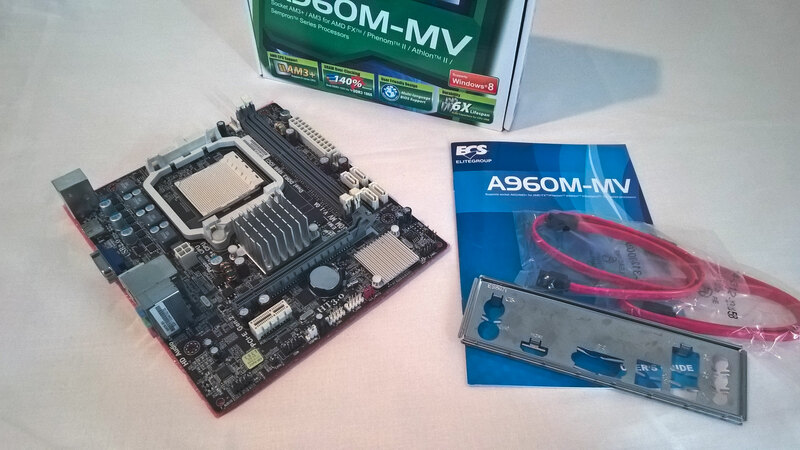 ECS A960M-MV – M-DTX… or is it? AMD’s AM3+ platform is great for value performance, but there’s one major market segment left unfilled by motherboard manufacturers with this socket – SFF. 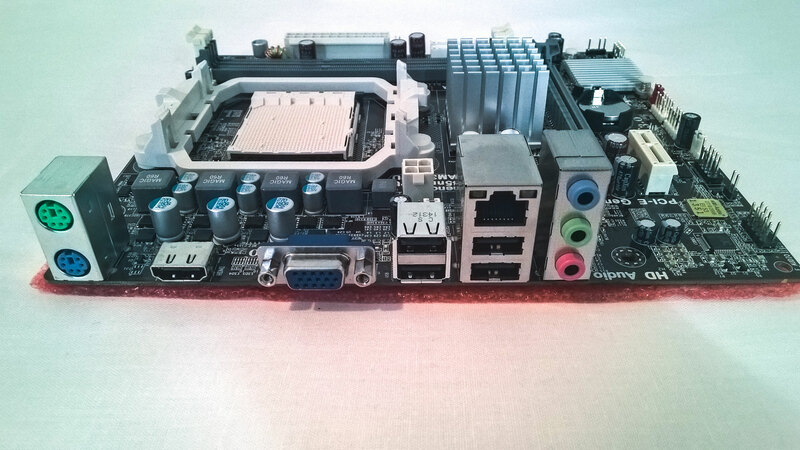 The board featured here today is the ECS A960M-MV, the smallest FX-Capable motherboard, but it has it’s caveats. Lets find them. An overview image of the ECS A960M-MV and bundled accessories. Here are the specifications, note them, as we’ll come back to certain points here. º * Due to AMD CPU spec limitation, please refer to Memory QVL for more information. Well, well well, what do we have here? In short, DTX and M-DTX was launched by AMD in early 2007 especially for small form factor systems, and to enable interchangeability in Shuttle style systems. The design has space for two expansion slots. Of course the major feature here is the CPU socket. The smallest boards we usually see FX processors on is M-ATX, which is small, but not as small as some of us would like. 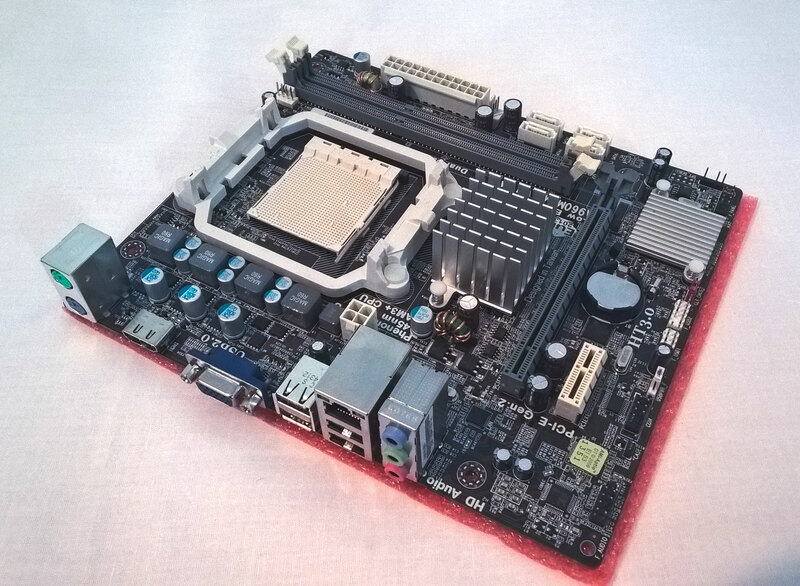 The board supports up to 125w processors, including the venerable FX-8350. 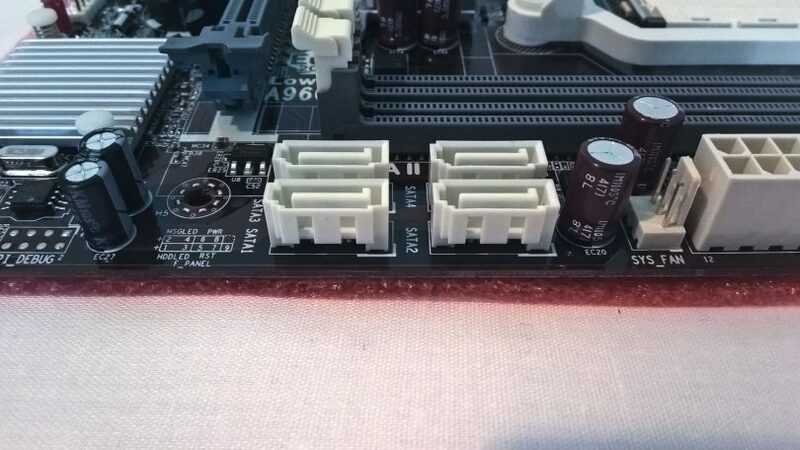 However, the power delivery for the CPU socket does not have a heatsink attached, which is an oversight. Most capable 125w AM3+ boards have heatsinks on the VRMs, which is a good idea, as the FX series of processors draw a lot of current. 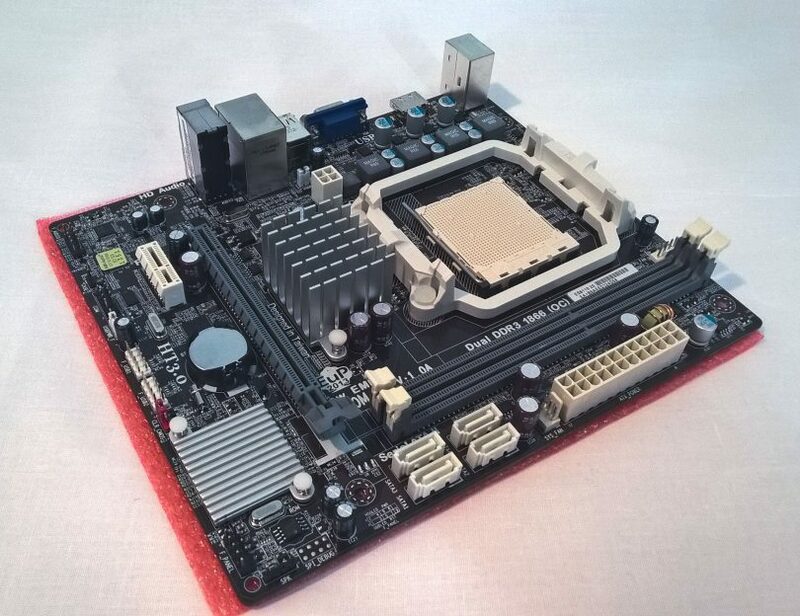 I would advise undervolting your CPU if you wish to use this board. In saying that, I’ve found a lot of FX processors to be over-volted from the factory – my FX-8350 had a stock voltage of 1.4v. I’ve tested and currently run it at the same speed, but at 1.2v! This takes my 125W processor down to 95w. As you can see from the bottom of the board, the PCB is more of a brown than a black. A little disappointing but it is to be expected on a board of this price bracket. As you may also notice, the CPU cooler bracket does not come with a backplate – which does restrict the use of heavier coolers that use the stock AMD clip system. If moving to an aftermarket cooler that doesn’t come with a backplate, you may need to source this part. Next up is the expansion slots. The A960M-MV features a PCI express 2.0 x16 slot and a 2.0 x1 slot. While we would like to see dual x16 slots, it is something that we’ve yet to observe on the M-DTX platform. 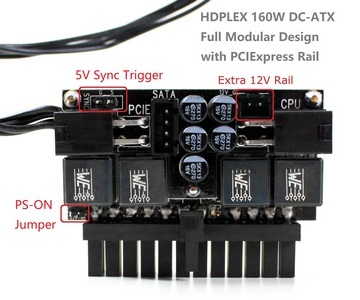 Many M-DTX boards feature the same expansion slot selection, but with the locations reversed. Depending on your use case, this could be a positive or a negative. If you were to run a single-slot graphics card, either layout is usable. When using a dual-slot graphics card, the layout of the A960M-MV means that you lose the use of the x1 slot. If you use a dual-slot card with the alternate layout, you require a case with three slots. The board can come with either 10/100 or gigabit ethernet. The board supplied to me from Newegg came with the Realtek 8111E gigabit ethernet chip. Also optional is HDMI onboard. In reality though, this port is connected to the onboard AMD 760G chipset, so you are stuck with the rather old Radeon 3000 graphics chipset. For anything more than a basic word processing or web browsing system, I would highly recommend a graphics card to be used. 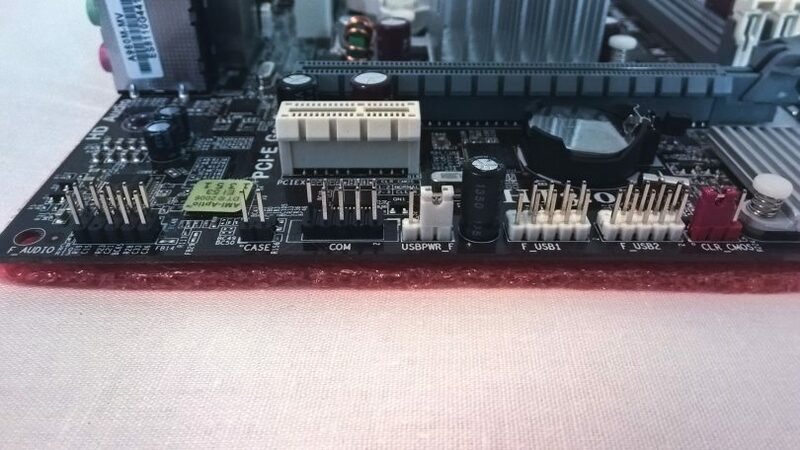 As you can see, the board features four SATA ports. Because the chipset is an older one, AMD’s 760G, these ports run at 3 Gb/s. RAID 0, 1 and 10 are options, but I would suggest that purchasers of this board invest in a PCIe SATA RAID card if the x1 slot is clear after installing a graphics card. 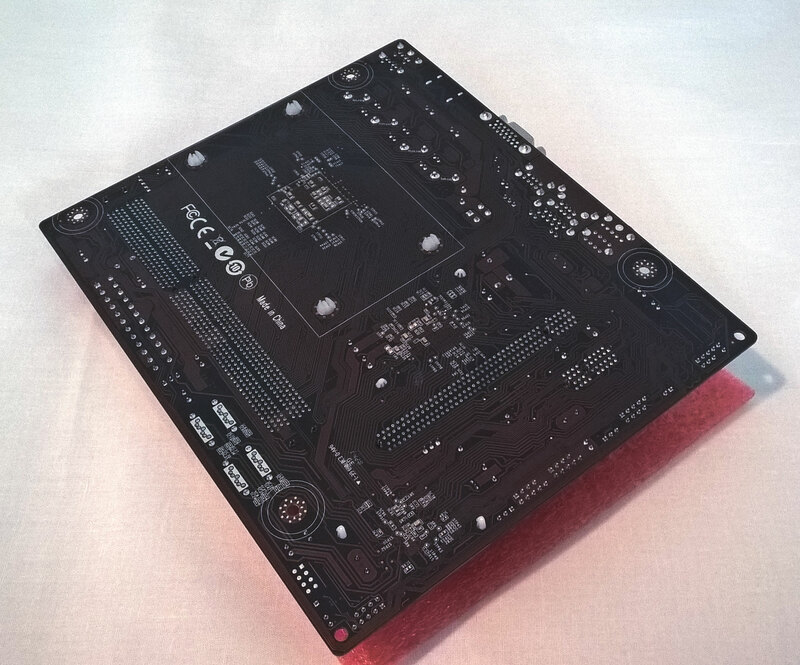 While this may be a budget board, it does offer quite a few things to the SFF enthusiast. Awesome power in a small space (with the right CPU), and a good price. When I picked this board up, it was around US$40. 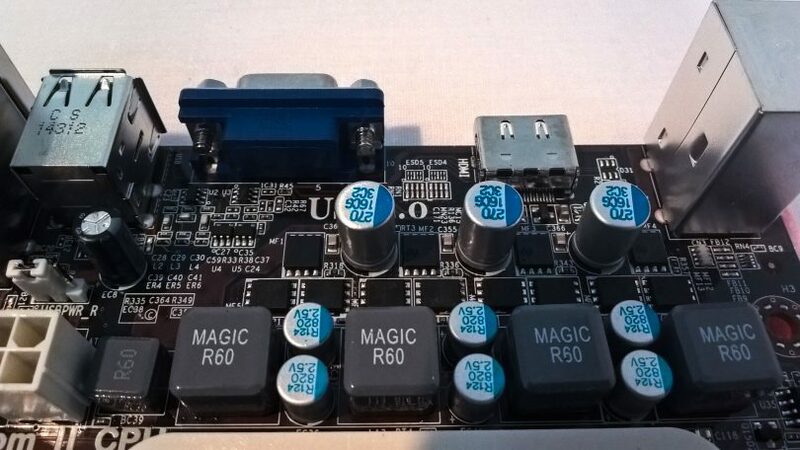 In reality, this board has a very small possible market – those who want to keep their AMD processor or wish to have an FX CPU in a very small system. In saying that, with such a cheap retail price, one could build a budget HTPC or NAS. Build quality is appropriate for this price bracket – outside of the CPU power delivery, all capacitors are of the non-solid variety. The board is brown, instead of black, but overall it feels like a solid board.